Governor Bill Haslam and Commissioner of Education, Dr. Candice McQueen, visited the Dyer County School System today. The governor and commissioner toured Dyer County High School, explored the new STEM lab and visited Mrs. Jessica Murray's Algebra classroom. Mrs. Murray served on the governor's education cabinet for the past two years. 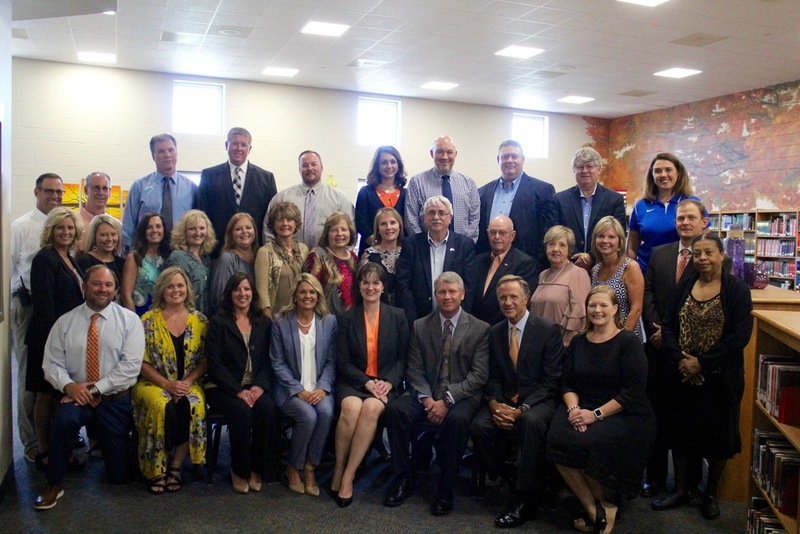 The governor and commissioner met with the school system's administrative team and asked for advice that should be given to the upcoming governor. He also addressed members of the Dyer County School Board, administrators from all schools and local dignitaries. The governor expressed his appreciation for the Dyer County School System.